The full papers can be obtained directly from the ISDRC19 secretariat: Beatrix Steenkamp (beatrix.steenkamp@spl.sun.ac.za). 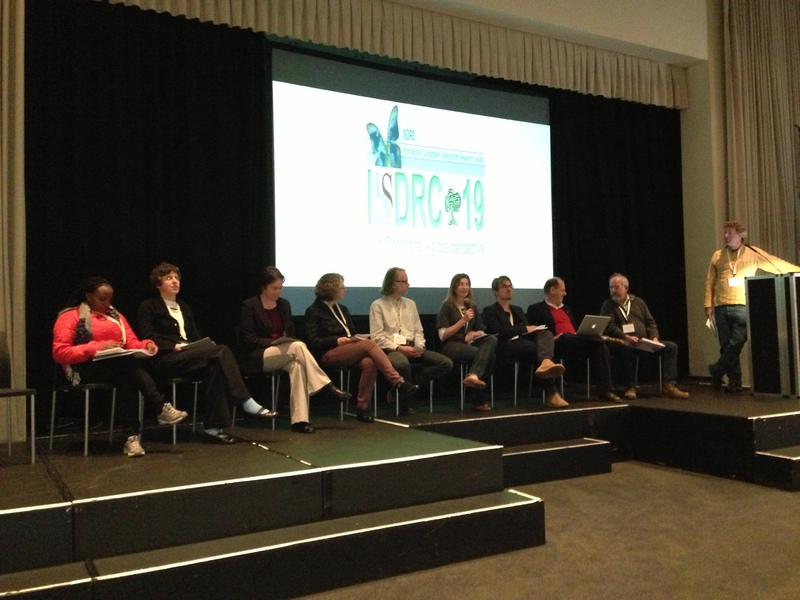 The International Sustainable Development Research Society (ISDRS) aims to promote collaboration and dialogue of a high quality, building bridges between different research communities, and between research and its applications in society. ISDRS also promotes the engagement between communities in developed and developing countries. 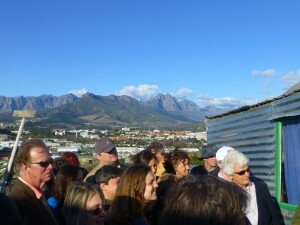 To this end the 19th annual International Sustainable Development Research Conference (ISDRC19) was held, for the first time, in the global south, in the picturesque Lynedoch valley of the capital of the South African wine lands – Stellenbosch – just outside the Cape Town metropolitan area. South Africa has experienced a difficult transition, and still does, in the face of the many challenges that are characteristic of a developing society. Here the extreme poor live, ironically, in one of the most carbon-intensive economies; one that is based on a “mineral-energy complex”. Thus, one finds the fundamental economic problems of inequality and resource exploitation that remain intact in a democratic space that has made possible countless innovations and changes across multiple other spectrums. 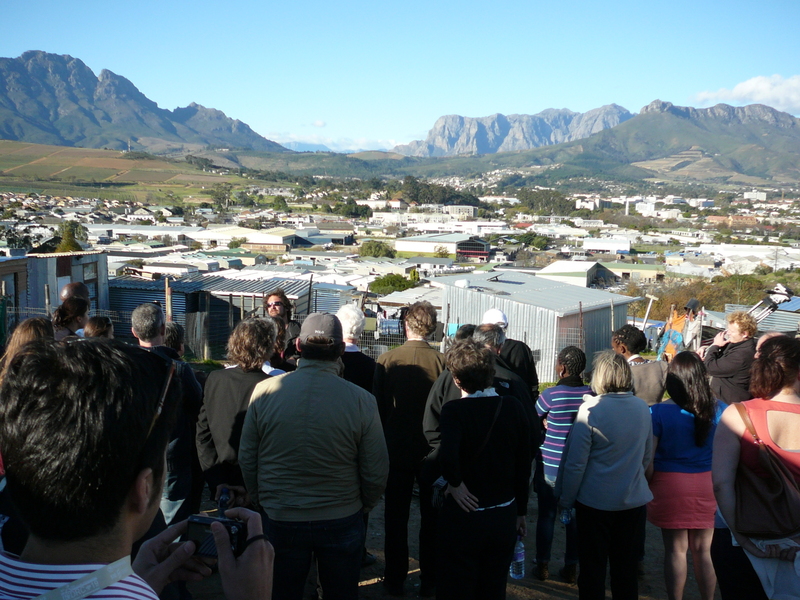 It was then deemed appropriate for ISDRC19 to be hosted where these challenges are actively being researched, at the Sustainability Institute, in collaboration with Stellenbosch University, and specifically the postgraduate programme in Sustainable Development and the transdisciplinary PhD programme – TsamaHUB – in the School of Public Leadership (SPL), in the Faculty of Economic and Management Sciences; and the Centre for Renewable and Sustainable Energy Studies (CRSES), in the Faculty of Engineering. Crisis, complexity, global change and transitions, with a critical analysis of the science of sustainability, academia, ethics and leadership. Rethinking development in terms of greening the developmental state, new forms of urbanism in the context of ecology, social development and food security. Better Governance, institutions and economic structures, to support sustainable development and design. Achieving rapid transitions for sustainable living, decoupling production and consumption from resource limits and ecological constraints, and pioneering innovative, liveable and sustainable contexts. This underpinned the lively debates that unfolded at ISDRC19 as we, as society, edge closer to realising just transitions for all of mankind, and nature on which we depend. The debate at ISDRC19 highlighted two things. First, the Sustainable Development Goals (SDGs) must mean new goals, and, second, transition means actual change. These statements may seem obvious, but the debate emphasised that sustainable development is merely part of the language of society, which hopes for it to occur via the brilliance of engineers, informed consumers, and such. As a strategy for society, it is viewed as a mixture between avoidance and dangerous optimism, where technology has become clean technology, consumption has become sustainable consumption, growth has become green growth, and so forth. In essence, society has continued to use the same toolbox as the one that brought it to its present dilemmas; by simply relabeling some of the tools. Technical interventions: Technological progress can be very helpful in the transition to sustainability. Many papers explored developing and applying initiatives such as life cycle analysis for buildings and the airline industry, resource loop closing, and methods for corporate social and environmental reporting. However, these technical initiatives need to be formulated in a manner appropriate for the context. Do they meet the needs of existing stakeholders, for example? Are they not only technologically sound, but capable of implementation by non-specialists? Measuring progress towards sustainability: Sustainability indicators are essential to provide a means to monitor progress and when necessary re-direct effort. There are many types of indicators, more currently of relevance to the companies and sustainable manufacturing than relating to the provision of services. Indicators, as other technical interventions, need to be appropriate in scope, scale and complexity to relevant stakeholders. There is a difficulty here as measurement naturally favours properties that are readily quantified. The importance of the individual: There is a tendency in sustainability research to focus at an organisational scale or on a geographic scale ranging from a neighbourhood to the world. However, changing behaviour of organisations involves individuals not only comprehending what is required, but attaching some moral value to what is being asked of them. One study indicated that the young attach a higher priority to social rather than environmental issues. Research would be useful to indicate how these can be interrelated; for example, in terms of fuel poverty. Another study indicated the importance of training at all levels within an organisation to promote environmental protection. Significantly, this training needs to understand people’s pre-existing knowledge and beliefs about their work and its implications for the environment. Policy intervention: Regulations can be an effective way of generating uptake of an existing technological or organisational initiative for sustainability. However, they do not necessarily work in the way that is intended. Several papers explored aspects of this. For example, an international policy such as the Cleaner Development Mechanism has to be implemented in a way that is compatible with local regulations and practice, or the cost of adapting to fit the circumstances might outweigh the benefits from the scheme. Starting from where we are now: Progress towards sustainability must be cognisant of present conditions and sensitive to variations in needs/preference/capacity for change. Several talks addressed this directly. For example, plans to engage primary producers in developing countries in international supply chains cannot be imposed without the active involvement of those producers in the design of the scheme. Infrastructure that can (almost) be taken for granted in development countries (energy, IT) is still a major barrier to everyday activity in developing countries. This vital point of variation came through in all the talks. The conference of course was the perfect venue to be gaining understanding of how the sustainability transition unfolds differently and against a backdrop of varying priorities in different places. Thus, it was concluded that: what brought us here needs to change radically; limits to our expansionist and consumerist strategies must be recognised; and distinctions between basic needs and preferences or demand need to be made. This has to be a basis for Just transitions and SDGs. While these conclusions partly may be said to represent a language of boundaries, that is also very much what has been – and is – missing in the social sciences. We also need a language of opportunities. Two strong dimensions emerged: democracy, stakeholder involvement and participation; and interlinkages between systems, space and time. Allowing participation and actually making people participate are different things. This means that we also need mobilization. Achieving a variety of (successful) governance systems, from voluntary systems to regulation and treaties. Making the relevant linkages and distribution of responsibilities between local and global levels of governance. Reaching stable institutions in dynamic settings as well as dealing with both intra- and intergenerational justice. A distinguishing feature of the transitions concept is its emphasis on systemic interactions and co-evolution in the creation and diffusion of novelty. Some of the papers reminded us that this novelty often relates to technological change in interaction with (changing or resisting) organizational routines, institutional logics, new services or regulations. A transition that strengthens the ability of communities to contribute to natural resources management is essential in many countries, but particularly in the south. Breaking the cycle of poverty, deforestation, and environmental degradation, in Madagascar for example, requires transition to a governance system that provides resources to the local community, so that they can better manage and restore the forests on which their social system depends. While there seemed to be a general agreement concerning the systemic, multi-dimensional and transformative character of the change process implied by sustainable development, several papers warned against a too naïve understanding of the complexity that transitions encompass. In particular, the political struggle that is necessary to make transitions happen seems often underemphasized. Even though more and more decision-makers in both the public and private sector have started to frame the challenge of sustainable development as one of a transition, this does not mean that success is guaranteed. While good examples and success-stories are needed, it is important that stakeholders are aware of their local challenges and opportunities in the transition processes and do not blindly import best practice from elsewhere. Therefore it is essential to focus on local institutions and capacity building that builds on the resources that are available locally and through global networks and linkages.